Fairtree Capital, a leading multi strategy alternative and long-only investment manager, is pleased to announce the launch of the Fairtree Protea Global Equity Long Short IDS Retail Hedge Fund. The fund, managed by Jean Pierre Verster, follows a Long/Short investment strategy across global developed equity markets, picking equities by implementing a proprietary ‘quantamental’ investment process, which combines traditional fundamental analysis with quantitative investment techniques. This approach assists in avoiding behavioral biases and systematically identifies individual mispriced securities whilst ensuring sufficient diversification to guard against inappropriate risk concentration. The Fairtree Protea Global Equity Long Short IDS Retail Hedge Fund is the third hedge fund managed by Verster, after the successful launches of the Fairtree Protea Equity Long Short IDS Retail Hedge Fund in July 2017, which focuses on JSE-listed equities, and the Fairtree Protea Worldwide Flexible Equity IDS Qualified Investor Hedge Fund in September 2016, which has a wide mandate across local and global markets. The worldwide fund, with a R1m minimum investment, crossed the R100m AUM mark recently, with the Fairtree Protea Global Equity Long Short IDS Retail Hedge Fund and Fairtree Protea Equity Long Short IDS Retail Hedge Fund already above R50m in AUM each. “We are excited about offering the opportunity to South African investors to invest in a Global Long/Short Hedge Fund, via a FSB-regulated structure, with a low minimum investment threshold and no foreign exchange restrictions”, said Verster. 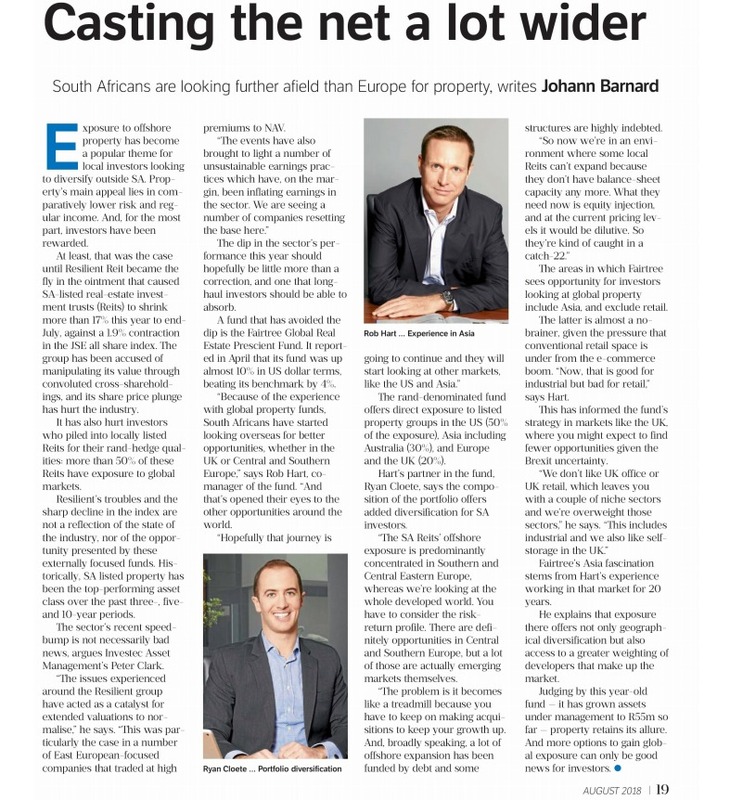 “In close collaboration with our service providers at SANNE and our prime brokers at Barclays Capital in London, we have been able to domicile this fund in South Africa while investing both long and short across global developed equity markets in North America, Europe, Asia and Australasia”. This fund is now open to both retail and institutional investors, with a R50,000 minimum investment, after being seeded with internal capital in September 2017. While growing internationally, Fairtree Capital has its roots firmly grounded in South Africa. As a testament to the firm’s commitment to consistent performance, Morningstar ranked Fairtree Capital first in its Q3 2017 ranking of Top South African Domiciled Asset Managers, sorted by asset-weighted ranking. 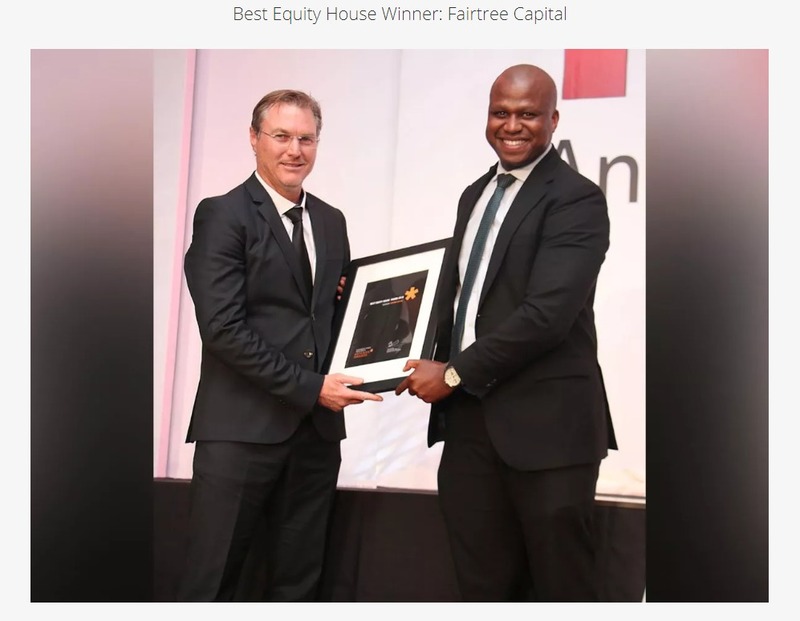 This was the first time that Fairtree Capital participated in the highly acclaimed Morningstar South Africa Ratings, which requires R5bn minimum AUM in unit trust assets across equity, fixed income and asset allocation fund categories. Including segregated client mandates, Fairtree Capital now manages circa R38bn (~$3bn) in alternative and long-only assets for clients worldwide, making it one of the leading mid-sized asset managers of its kind. Fairtree Capital is an South African-based investment manager capturing growth potential wherever it exists. We believe in creating wealth in the long-term and our active and passive approach ensures diversification and mitigates risk across three long-only funds, eight hedge funds and one first-of-its-kind private equity fund. As an owner-managed asset management company, Fairtree Capital has the specialist skills required to manage portfolios that are unique to the South African investment environment. We’ve been in the business for over a decade, with over R38 billion under management.